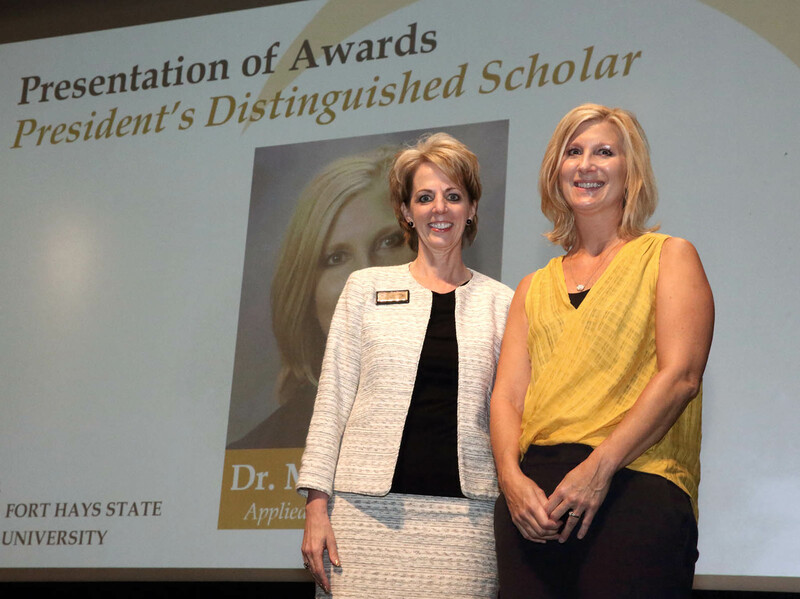 HAYS, Kan. – Dr. Mary Martin, professor of applied business studies, was announced today by President Tisa Mason as Fort Hays State University’s 2018 President's Distinguished Scholar. The presentation came at the Fall 2018 Convocation. As the President’s Distinguished Scholar, Martin will receive a medallion and a $1,500 cash award. The President's Distinguished Scholar Award was first conferred in 1989. All unclassified employees of the university are eligible for consideration and are evaluated for this honor by analysis of their performance in the categories of research and creative activities, service, and instruction. Acceptable levels of performance must be demonstrated in service and instruction, with the primary focus of this award on research and creative activities. An evaluation committee reviews applications and a recommendation is forwarded to the president. The committee is composed of five of the most recent award winners. The provost serves as chair of the committee and is responsible for administration of the award process. Several other awards were also presented at the convocation. Dr. Jenny Manry, professor of nursing, was named the Faculty Member of the Year. This award is selected from the past year’s recipients of faculty awards for teaching, research and scholarly activity, and service.  Commerce Bank provides a $1,000 stipend. The award was presented to her by Dr. Jeff Briggs, interim provost, and Deron O’Connor, president of Commerce Bank. The fall 2017 and spring 2018 winners of the faculty awards were also introduced. Manry was a research and scholarly activity award winner, along with Dr. Mohammad Riazi-Kermani, professor of mathematics and computer science. The 2017-18 service award winners were Jeff Sadler, instructor of mathematics and computer science, and Ken Windholz, instructor of psychology. Last year’s outstanding teaching award winners were Dr. Hong Biao Zeng, professor of mathematics and computer science, and Angela Walters, associate professor of informatics. The Edmund Shearer Faculty Advisor of the Year Award went to Dr. Steve Sedbrook, associate professor of health and human performance. The Shearer Award is presented to individuals who have demonstrated outstanding academic advising of students. Shearer, a former chair of the Department of Chemistry, was known for the high value he placed on student advisement. One advisor can be recognized from each of the five academic colleges. The recipient of this award will also be nominated for the National Academic Advising Association Award. Each FHSU winner will be presented a certificate and a monetary award. The nominees receive a stipend of $150 and the winning recipient receives $500. Commerce Bank also sponsors this award. Besides Sedbrook, the nominees were Sharon Wilson, instructor of English; Brad Goebel, instructor of applied business studies; Dr. Sarah Broman, assistant professor of teacher ducation; and Dr. Laura Wilson, associate professor of geosciences. The John Heinrichs Outstanding Research Mentor Award, which recognizes faculty members for their commitment, time and energy in promoting undergraduate research, went to Dr. Trey Hill, associate professor of psychology and chair of the Department of Psychology. All current faculty and unclassified staff members at levels comparable to academic faculty are eligible. The $500 of budget funding is provided to the winner’s home department to benefit the recipient. The Office of the Provost, the Undergraduate Research Environment Committee and the Office of Scholarships and Sponsored Projects sponsors the award. For the Closing the Loop Department Award, a tie meant this year's award was divided between two departments, the Department of Social Work and the Department of Teacher Education. This award, sponsored by Voya Financial, is given to the academic department that has implemented degree program improvements as evidenced by analysis of, and improvements in program and student learning outcomes. The award provides $2,000 to be deposited in the department's operating budget to be shared with departmental faculty. These funds can be used for any valid operating expense such as faculty development, professional travel, hospitality, equipment and instructional support purchases. A new award this year, the Advances in Assessment Award, which recognizes a department that has achieved advances in their assessment procedures. The award provides $1,000 to be deposited in the department's operating budget to be used for any valid operating expense such as faculty development, professional travel, hospitality, equipment and instructional support purchases. This award was also a tie, this one between the Department of Chemistry and the Department of Health and Human Performance.